REPORT - The first report of its kind quantifies the damage we are doing to our planet from traveling, with air travel being the worst offender. ROYAL GAS GUZZLER - The Royal Yacht Britannia drew a lot of attention in days gone by when in port. But these days a ship of such lo-tech design and proportions might be seen as a significant contributor to global warming, tending to offset any usefulness that the occasional trade envoy or goodwill mission might achieve. 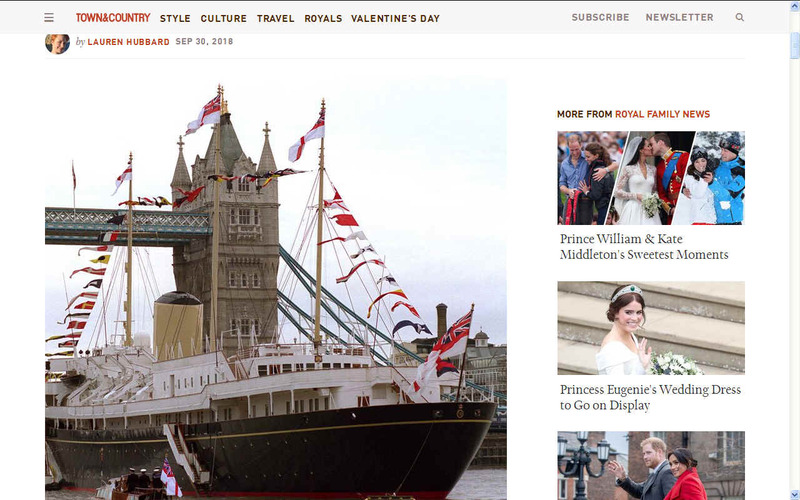 A Royal yacht that is zero carbon might go some way to offsetting such reservations, especially if the technology were British and exportable. "Our analysis is a world-first look at the true cost of tourism - including consumables such as food from eating out and souvenirs—it's a complete life-cycle assessment of global tourism, ensuring we don't miss any impacts," Dr. Malik said. "To make my own travel more sustainable - for future generations - I invest in long-run abatement options at prices that incorporate at least average abatement costs, like investing in afforestation, rather than assuming only low-hanging fruit, like residential power efficiency." 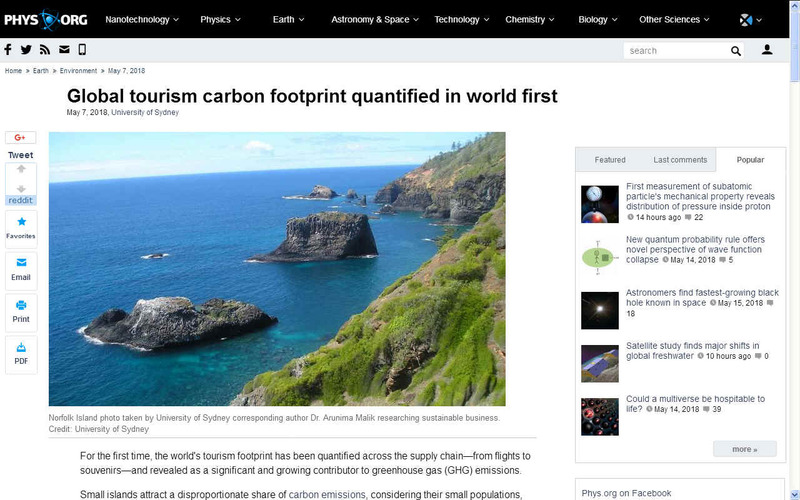 Explore further: Decarbonizing tourism: Would you pay US$11 for a carbon-free holiday? long-haul/international flights emit 0.25 kg/pkm on a life-cycle basis (reference: www.sciencedirect.com/science/ … ii/S1361920999000097), times typical abatement cost of AU $50/tonne (see 1st two References above) yields 1.25 cents/km flown, or $425 for a 2x17,000 km return trip. 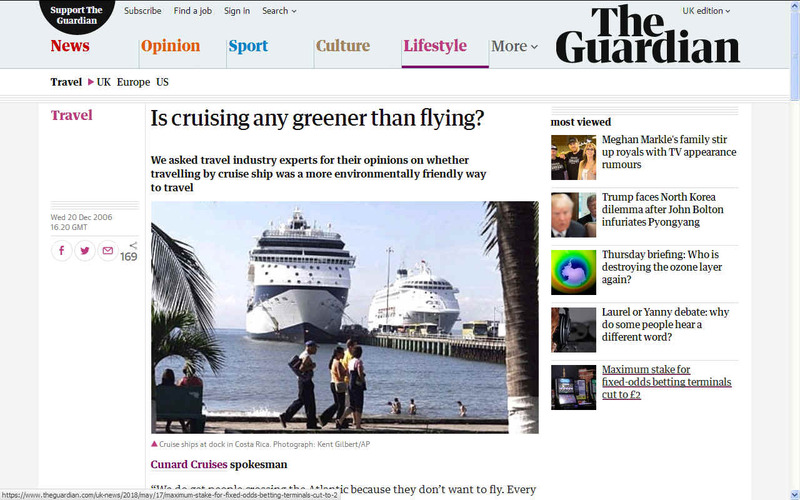 THE GUARDIAN 20 DECEMBER 2006 - IS CRUISING ANY GREENER THAN FLYING? “You might naturally assume that a ship would emit less carbon dioxide than a long-haul flight but it’s not the case. 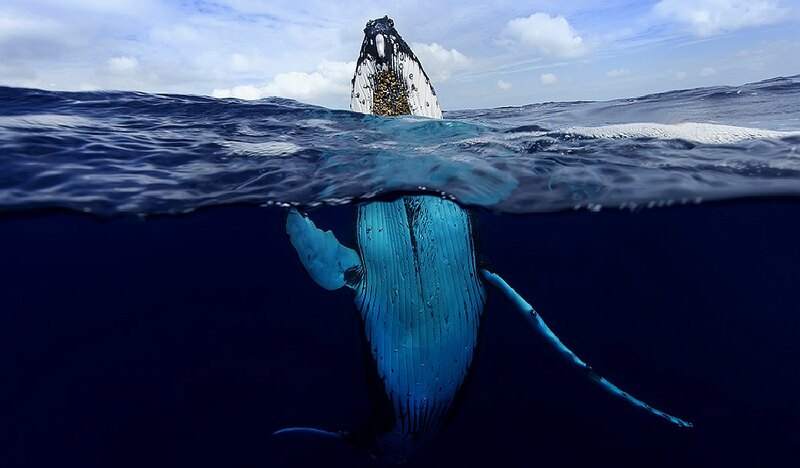 On a typical one-week voyage a cruise ship generates more than 50 tonnes of garbage and a million tonnes of grey (waste) water, 210,000 gallons of sewage and 35,000 gallons of oil-contaminated water. Some of this is pumped into ocean and some treated. SOLAR PIONEERS - Stephane Chopard & Raphaelle Javet (communications) and Raphael Domjan (pilot) on a visit to the SeaVax solar powered project in Britain in August 2017. Raphael set the zero carbon cruising benchmark with PlanetSolar in 2012.